My two oldest children are capable, outspoken girls, and I grew up going to all-girls’ school, in a home with a strong mother and sister. 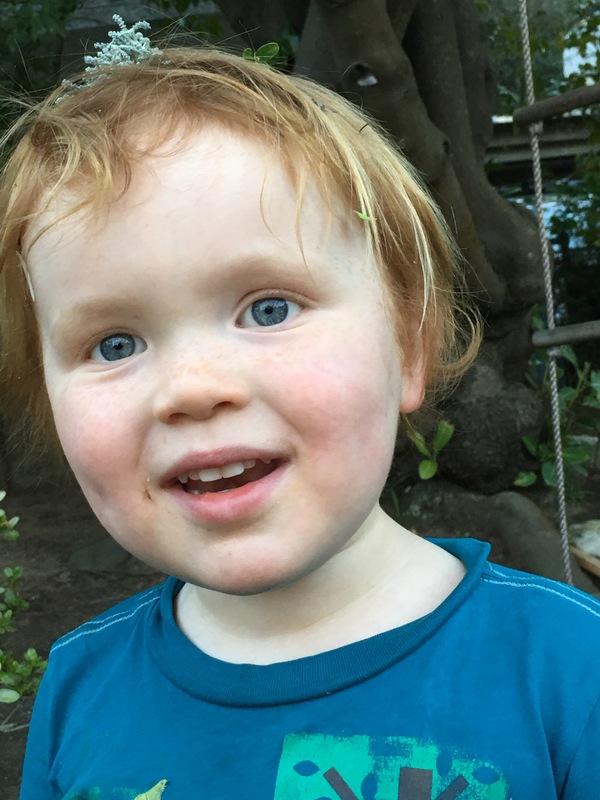 As a result, we had a sad few months around our house recently in which my son proclaimed, “I want to be a girl! 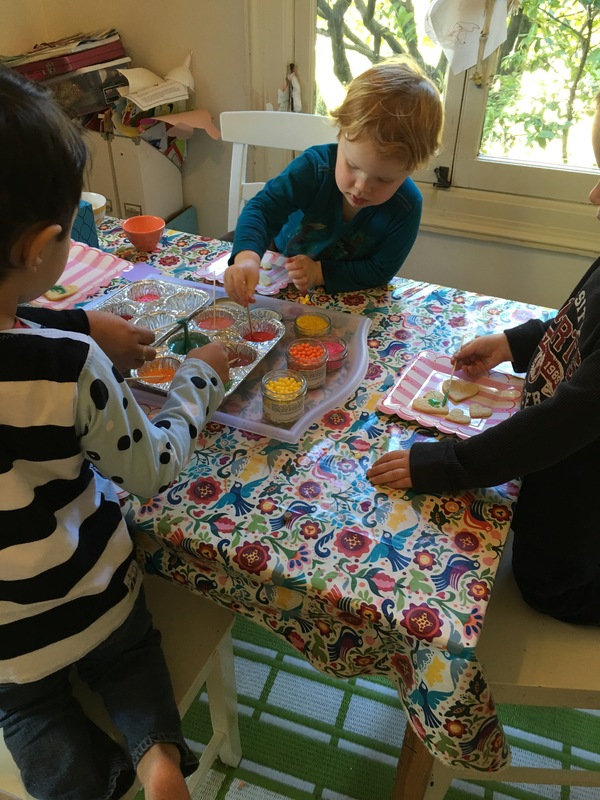 Girls are better than boys.” Mind you, if he was genuinely gender dysmorphic at age 3 of course I’d support that, but given his general disposition and interests, it was pretty clear we had just been overdoing the girl power message in our house! I also adore his friends’ mothers, so it is a big win for me too. 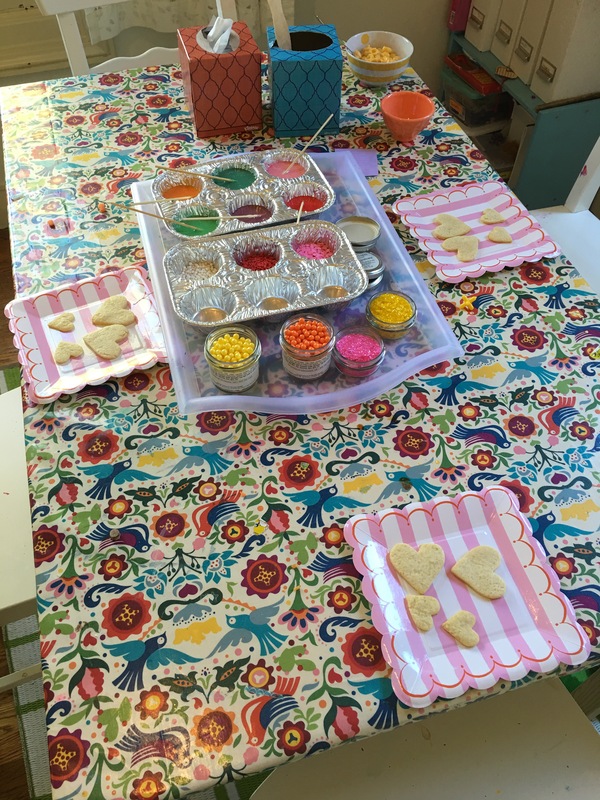 Usually we just let the little fellows wreak havoc while we chat, but today we set up an activity in honor of Valentine’s Day- decorating sugar cookies! 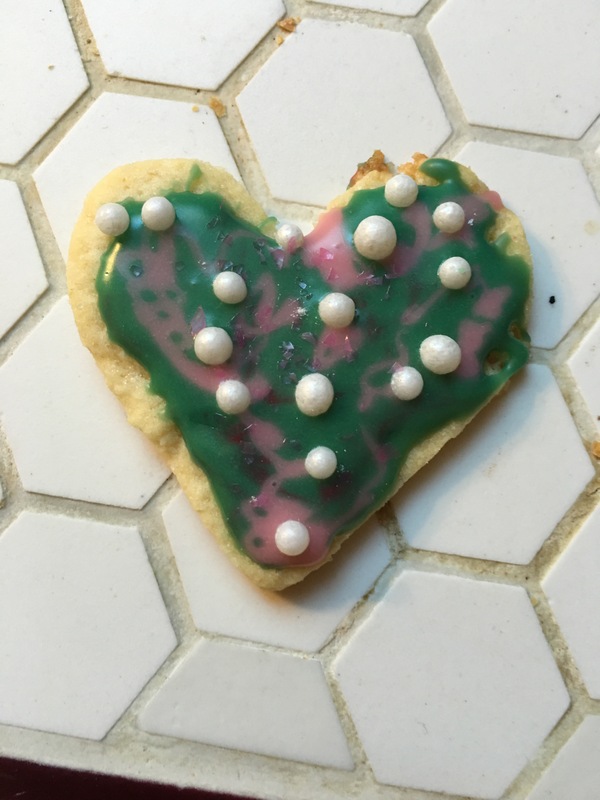 My favorite sugar cookie recipe is a bit fiddly, but always turns out both decoratable and eminently edible. Heat oven to 350. Put butter and sugar in bowl of a food processor and blitz until combined. Add egg and process until smooth. Add flour and salt all at once and pulse until it comes together in clumps. Dump out on some wax or parchment paper, gather into a ball, split in half and press halves into discs. Wrap in plastic and chill at least 30 minutes if you can. If you are in a hurry, generously flour your work surface and roll out the dough between two sheets of wax or parchment paper(this helps even with the chilled dough!). Roll out as thin as you can(1/4 inch is nice), and cut with floured cookie cutters. Bake 10 minutes. I made white icing and my friend did some serious food coloring mixing magic to turn it the lovliest colors. It actually did harden and get glossy on the cookies that managed to hang around long enough! Of course we saved enough of everything so that the girls could make some after school. 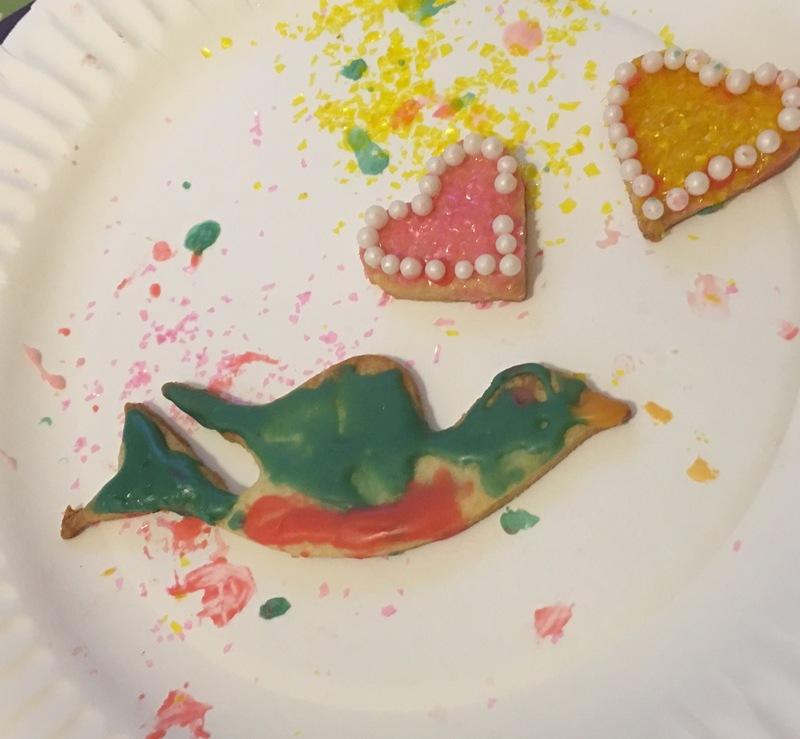 My oldest daughter blew us all out of the water with her bird cookie! Stir together sugar, vanilla, and a splash(3 teaspoonish) milk. Add corn syrup until it is the consistency you like. Ours was thin enough to drizzle from a skewer onto a cookie, but thick enough not to just run off the edges entirely once it was on there. Play around adding sugar and corn syrup until you get there.